NABE members can access webinar recordings on the Podcasts page. For archived materials from past events, please email us. The housing market slowed in 2018 due to higher interest rates and declining housing affordability. What should we expect from housing and home building in 2019? Join the chief economists of the National Association of Home Builders and realtor.com® as they walk through current data and forecasts concerning inventory levels, home price growth, and regional differences. The webinar will also cover those factors that are increasing the cost of rental and for-sale housing, including the ongoing labor shortage in construction and the impact of various policies on land development and home construction. The real estate cycle has matured with construction slowing for nearly all property types, while trends in pricing and investor demand are beginning to diverge across property types. Which property types are overbuilt? Is construction declining enough to extend the real estate cycle? Are construction lenders driving the slowdown? Is commercial real estate overpriced? How vulnerable are banks to a real estate downturn? What other challenges lie ahead? These and other questions about the outlook for construction and real estate capital markets will be addressed by our panel of experts. Construction is a key industry in countries across the world, but one that has struggled to evolve its approaches as other industries have done, and one whose productivity has suffered as a result. Even while other sectors from retail to manufacturing have transformed their efficiency, boosted their productivity, and embraced the digital age, construction appears to be stuck in a time warp. Since 1945, productivity in manufacturing, retail, and agriculture has grown by as much as 1,500 percent; productivity in construction has barely increased at all. This not only represents a lost opportunity for the industry but costs the world economy. Join us for a discussion with Jan Mischke, Senior Fellow, McKinsey Global Institute, and Dale Belman, Professor, School of Labor and Industrial Relations, Michigan State University, as we examine the root causes of poor productivity growth in the construction industry, explore practical ways to improve the situation, and discuss the beginnings of a shift in parts of the sector toward a system of mass production, standardization, prefabrication, and modularization. Ken Simonson, Chief Economist, Associated General Contractors of America, will moderate the discussion. Real Estate and Construction Markets in Transformation: What Lies Ahead? Recovery in the real estate and construction markets has been proceeding slowly with many fits and starts following the popping of the housing bubble. Is the pace of recovery now improving? How long will the recovery last? What are the challenges that lie ahead? Will there be sufficient skilled labor to meet construction’s needs? What are the implications of demographic trends on demand for residential and nonresidential construction? These and other questions about the outlook for real estate and construction will be addressed by our panel of experts. Registration is FREE for NABE members and the public. Robert D. Dietz, Ph.D., is Vice President for Tax and Market Analysis for NAHB, where his responsibilities include economic and legal analysis of tax and policy issues, as well as analysis of housing market data. His areas of responsibility include homeownership and energy tax incentives, affordable housing policies, business tax issues, tax regulations, and government budget analysis. Dr. Dietz has published academic research on the private and social benefits of homeownership, federal tax expenditure estimation, and other housing and tax issues in peer-reviewed journals, including the Journal of Urban Economics, Journal of Housing Research, the National Tax Journal and the NBER Working Paper series. He has testified before the House Ways and Means Committee, the Senate Finance Committee, and the Senate Banking Subcommittee on Economic Policy on housing and tax issues. Prior to joining NAHB in 2005, Robert worked as an economist for the Congressional Joint Committee on Taxation, specializing in revenue estimation of legislative proposals involving housing, urban development, and other business tax issues. He is a native of Dayton, Ohio and earned a Ph.D. in Economics from the Ohio State University in 2003. Anika R. Khan is a director and senior economist with Wells Fargo with more than ­‑ years experience in Corporate and Investment Banking including U.S. macroeconomic and quantitative analysis, institutional sales and trading analytics and commercial-mortgage backed securities underwriting. Based in Charlotte, N.C., she is responsible for producing commentary on U.S. residential and nonresidential real estate markets, and contributes to the company’s Weekly Economic & Financial Commentary. Anika’s commentary is frequently cited by periodicals such as the Wall Street Journal, New York Times, Bloomberg News, and USA Today. She is also a frequent guest on radio programs such as the National Public Radio, Associated Press, Bloomberg, and WSJ Radio and appears regularly on CNBC and Bloomberg TV. Through special White House invitations, Anika has discussed the economic outlook with senior Administration o cials. She has also presented her research at the prestigious American Economic Association annual conference. She is a member of the American Economic Association, National Association of Business Economists and the Charlotte Economics Club. Anika is also an adjunct professor at Queens University in Charlotte. Anika earned her B.S. in economics from Florida Agricultural and Mechanical University and an M.S. in economics from the University of North Carolina at Charlotte. Ken Simonson has been the chief economist of the Associated General Contractors of America, the leading trade association for the construction industry, since 2001. His weekly summary of economic news relevant to construction, The Data DIGest, goes to 45,000 subscribers. Ken is currently a member of the Census Scientific Advisory Council and the Bureau of Labor Statistics’ Data Users Advisory Council. He is a NABE Fellow and served as the 2012-2013 president. He has 40 years of experience analyzing, advocating and communicating about economic and tax issues. Ken has a BA in economics from the University of Chicago and an MA in economics from Northwestern University. Bernard M. Markstein is Chief Economist and President, Markstein Advisors, an economic consulting company providing analysis and forecasts of the national economy and construction activity. Dr. Markstein’s experience includes analysis and research in housing, residential and nonresidential construction, real estate, financial markets, macroeconomic issues, and regional markets. Prior to being an economic consultant, Dr. Markstein was U.S. Chief Economist for Reed Construction Data (now CMD) where he analyzed, commented on, and forecasted residential and commercial construction spending. Before that, Dr. Markstein was Senior Economist and Vice President, Economic Forecasting and Analysis, for the National Association of Home Builders, providing analysis on national and regional housing issues, on developments and trends in the multifamily housing market, and on the forces affecting building materials prices. Dr. Markstein has also held positions as Chief Economist for Meridian Bancorp, Inc. based in Reading, PA., manager of the Financial Forecasting Service for Chase Econometrics (now IHS Global Insight), and as Assistant Professor at Temple University's Department of Finance in the School of Business. Among his professional activities, Dr. Markstein serves as the Chair of the National Association for Business Economics (NABE) Real Estate/Construction Roundtable and is past Chair for the NABE Financial Roundtable. Dr. Markstein served as Chair of the Economic Advisory Committee for the Pennsylvania Bankers Association, and is a former president of the Philadelphia Council for Business Economics. Dr. Markstein received a Bachelor of Arts Degree in Economics from Brown University and a Doctorate in Economics from Yale University. With the release of data for January 2015, the Producer Price Index introduced a series of new input to industries price indexes. These indexes track price change for goods and services purchased by industries as inputs to production. PPI now calculates input indexes to 19 construction industries, 6 manufacturing industries, and 3 services industries. Prior to January 2015, PPI published industry input indexes for 10 construction industries. In addition to expansion into the manufacturing and services sectors and expansion of construction sector coverage, these new industry input indexes include several methodological improvements as compared to the previously published input indexes. This session will explain the methodology used to develop these indexes and provide an overview of potential uses for the indexes. It will also provide NABE members an opportunity to comment on potential new industries for PPI to expand input index coverage into. Registration is FREE for NABE members, and the public. Jonathan Weinhagen is a senior economist in the Producer Price Index Section of Index Methodology. Jon’s work focuses on development of new price indexes and index methodologies. Jon has a PhD in economics from George Mason University. Jayson Pollock is a supervisory economist in the Producer Price Index Branch of Industry Pricing. He is responsible for chemical and energy indexes within the PPI. "Outlook for Construction and Real Estate"
Construction activity has struggled throughout much of 2014, showing occasional strength only to be followed by weakness. What does 2015 hold for construction activity? Will it finally be the breakout year that some forecasters have predicted each of the last few years? Will residential construction activity continue to lead the way? Will single-family housing activity accelerate and help lift the economy? Will nonresidential construction finally embark on a solid growth path? Join the Real Estate and Construction Roundtable webinar on Thursday, December 4 at 2 pm to hear our panel of experts answer these and other questions. Registration is free for NABE members and $20 for others. Nela Richardson is the Chief Economist of Redfin, the customer-first real estate brokerage, where she leads housing research. Nela is also a frequent guest expert on housing and economic issues for local and national media including CNN, Bloomberg, BBC, CNBC, CSPAN, APM's "Marketplace", and NPR. Nela joined Redfin most recently from Bloomberg LP, where she was a Senior Economist with Bloomberg Government. She is a former research economist at the Commodity Futures Trading Commission and was a member of the CFTC's Dodd-Frank financial reform rulemaking team. Prior to her work at the CFTC, Nela was a researcher at Harvard University's Joint Center for Housing Studies, a senior economist at Freddie Mac and a graduate intern at the Federal Reserve Board of Governors. Nela has taught economics and finance courses at both the University of Maryland and the John Hopkins Carey School of Business. She received a PhD from the University of Maryland and has degrees from the University of Pennsylvania and Indiana University. Since 2001, Ken Simonson has been the Chief Economist for the Associated General Contractors of America, the leading national association for construction contractors, suppliers and service providers. His weekly one-page email, The Data DIGest, provides 40,000 readers with insight into the economy and what it implies for construction and related industries. Ken has 40 years of experience analyzing, advocating and communicating about economic and tax issues for a variety of business groups, federal agencies and an economic consultant. Ken is the immediate past president, a director, and a Fellow of NABE. He serves on the Census Scientific Advisory Committee and the Bureau of Labor Statistics’ Data Users Advisory Committee. He was president of the National Economists Club, now a NABE chapter, in 2000. Ken has a BA in economics from the University of Chicago, an MA from Northwestern University, and he has taken advanced graduate courses at the Université de Paris, Johns Hopkins and Georgetown Universities. Bernard M. Markstein is Chief Economist and President, Markstein Advisors, an economic consulting company providing analysis and forecasts of the national economy and construction activity as well as tracking developments in building materials prices. Prior to being an economic consultant, Dr. Markstein was U.S. Chief Economist for Reed Construction Data (now CMD). Before that, Dr. Markstein was Senior Economist and Vice President, Economic Forecasting and Analysis, for the National Association of Home Builders, providing analysis on national and regional housing issues, developments and trends in the multifamily housing market, and the forces affecting building materials prices. Dr. Markstein has also held positions as Chief Economist for Meridian Bancorp, Inc. based in Reading, PA., manager of the Financial Forecasting Service for Chase Econometrics (now IHS Global Insight), and as Assistant Professor at Temple University's Department of Finance in the School of Business. Dr. Markstein serves as the Chair of the NABE Real Estate/Construction Roundtable and is past Chair for the NABE Financial Roundtable. Dr. Markstein served as Chair of the Economic Advisory Committee for the Pennsylvania Bankers Association, and is a former president of the Philadelphia Council for Business Economics. Dr. Markstein received a Bachelor of Arts Degree in Economics from Brown University and a Doctorate in Economics from Yale University. Hear from experts and practitioners from the country's hottest real estate markets. They will discuss recent supply shortages, reasons for the shortages, and future implications for the industry. Join Florida Realtors Economist, John Tuccillo; California Association of Realtors Economist, Selma Hepp; and Greater Las Vegas Association of Realtors President-elect, Keith Lynam, for a thought provoking discussion on housing inventory. Registration is FREE for NABE members, $20 for others. Many hurdles for the economy, real estate, and construction lie ahead in 2014 from the threat of another government shutdown to hitting the federal debt ceiling to health care reform. Given these and other challenges, what is the outlook for real estate and construction? Will residential construction continue to lift the economy or will higher interest rates derail the housing recovery? Will nonresidential construction finally gain some real traction? Join the NABE Real Estate and Construction Roundtable webinar on December 5, 2013 at 2 pm (EST) to hear answers to these and other questions. Kermit Baker is a Senior Research Fellow at Harvard University’s Joint Center for Housing Studies, and is the Project Director of the Remodeling Futures Program. This research effort, which began in 1995, is the first comprehensive analysis of U.S. remodeling activity ever undertaken by the Joint Center. Its goal is to develop an improved understanding of the dynamics of the U.S. repair and renovation industry so that businesses can better take advantage of the opportunities that this market offers. Kermit also is the Chief Economist for the American Institute of Architects in Washington, D.C. In this capacity he analyzes business and construction trends for the U.S. economy, and examines their impact on AIA members and the architectural profession. Prior to joining the Joint Center, Kermit was vice-president and director of the economics department at Reed Business Information where he was responsible for industry forecasting. During his ten years at Reed Business Information he developed the Top U.S. Construction Market Report and served as editor of the Building and Construction Market Forecast newsletter. Kermit received his master’s degree in urban planning from Harvard University, and holds a Ph.D. from Massachusetts Institute of Technology in the same field. In 2006, Kermit was inducted into the National Remodeling Hall of Fame by the National Association of Home Builders. Anika R. Khan is a director and senior economist with Wells Fargo with more than years experience in Corporate and Investment Banking including U.S. macroeconomic and quantitative analysis, institutional sales and trading analytics and commercial-mortgage backed securities underwriting. Based in Charlotte, N.C., she is responsible for producing commentary on U.S. residential and nonresidential real estate markets, and contributes to the company’s Weekly Economic & Financial Commentary. cials. She has also presented her research at the prestigious American Economic Association annual conference. She is a member of the American Economic Association, National Association of Business Economists and the Charlotte Economics Club. Anika is also an adjunct professor at Queens University in Charlotte. Anika earned her B.S. in economics from Florida Agricultural and Mechanical University and an M.S. in economics from the University of North Carolina at Charlotte. Ken McCarthy has been with Cushman & Wakefield since August 2006. As Chief Economist, he is responsible for preparing C&W’s US and global economic analysis, as well as working with the New York City research organization to track and analyze activities in the New York City, Westchester County, Fairfield County, Long Island and New Jersey areas. Mr. McCarthy’s primary responsibilities include: development of C&W’s economic position, preparation of the quarterly Economic Pulse reports for the Americas region; presentation of US and regional economic trends for C&W clients; assisting in the development and dissemination of C&W’s market forecasts; working with C&W’s Research team in the New York, New Jersey and Connecticut area; conducting primary and secondary research related to fostering business relationships; gathering and maintaining a variety of economic and real estate metrics; tracking local real estate markets; and the creation of real estate research products/services for internal and external clients. The statistics and analyses are utilized by many banks, C&W clients, developers, REITs, government agencies and institutions to provide information and trend analyses on market conditions (macro and micro). Additionally, the market information and studies are published in several business publications and annual almanacs including, The New York Times, Crain’s New York, New York Real Estate Journal, Real Estate New York, Real Estate Weekly, among others. Prior to joining C&W, Mr. McCarthy served as Chief Economist of The Center for Innovative Entrepreneurship, a non profit corporation dedicated to understanding and furthering the impact of innovative entrepreneurs on the US economy. Prior to taking this position Mr. McCarthy was Chief Economist for vFinance, Inc. He oversaw all of the company’s economic analysis and research including the vFinance Entrepreneurial Confidence Index, a proprietary research tool for understanding entrepreneurial activity in the US. For 10 years prior to joining vFinance, Mr. McCarthy headed the Economic Intelligence Company (EIC), a private consulting company that provided economic analysis and advice to Fortune 500 firms. At EIC, Ken provided economic analysis for the supply chain teams at both Ingersoll-Rand Company and Alcoa. Ken was also associated for 14 years with Rinfret Associates, Inc., an international intelligence firm headed by prominent economist Pierre Rinfret, where he served as Senior Vice President Ken received a Bachelor of Arts degree in economics from St. Anselm College in New Hampshire, a Master of Arts degree from Fordham University. Ken is a member of the Research Roundtable of the Steven L Newman Real Estate Institute of Baruch College. He also serves as a member of the advisory panel of the New York City Office of Management and Budget. Another Real Estate Housing Bubble—Fact or Fiction? Is the residential housing market in the midst of another bubble? Join Zillow Chief Economist, Stan Humphries, CoreLogic Chief Economist, Mark Fleming, and California Association of REALTORS® Chief Economist, Leslie Appleton-Young, for a provocative discussion on the possibility of another real estate bubble. Don’t miss the opportunity to interact with these leading industry experts! Fannie Mae and Freddie Mac (the GSEs) are an important source of funds in the housing market, financing about 70% of originations over the past year. The FHFA has been preparing the GSEs for a bold, new future and has identified ways to bring more private capital into the secondary market. The FHFA has developed an annual scorecard for the GSEs that set direction for them, including the establishment of a joint venture to develop a Common Securitization Platform that may be used by future entities to securitize residential mortgage assets. Several proposals have surfaced to move toward a “future state”, including a Bipartisan Policy Center report, a Milken Institute/Moodys Analytics/Urban Institute plan, and a recently introduced Senate bill. The panel will review current efforts by the FHFA and new external developments that may guide the transition of the secondary mortgage market to a new future. Is the recovery sustainable, how quick can we return to normal, what will be the hurdles? Within the housing market, will the multifamily sector continue to be the star of the show or will single-family construction and sales begin to dominate? And will foreclosures and short sales pull the single-family market backwards? Commercial construction experienced a turnaround in 2012, but what lies ahead? Which regional areas can expect growth and which may be weaker? The Roundtable features two experts on construction industry trends who will share their views and concerns about the recovery in construction for the coming year. Mychele R. Lord, LORD Green Real Estate Strategies, moderator Marc Heisterkamp, Director of Strategic Accounts, U.S. Green Building Council Nils Kok, Co-Founder, GRESB Norm Miller, University of San Diego, author of Does Green Pay Off? Real estate veteran and pioneer sustainability consultant, Mychele Lord, will moderate this international panel of experts in the economics of green buildings. Norm Miller, in collaboration with CoStar, is the 2008 author of "Does Green Pay Off? ", one of the first papers on the value proposition of ENERGY STAR-labeled and LEED-certified buildings. How has his value proposition played out in the marketplace? The co-founder of GRESB, Nils Kok, is committed to making reporting on economic, environmental and social performance in the global real estate sector standard practice—within three years. The GRESB survey is collecting metrics on the managed portfolios of more than 350 real estate fund managers. Why is he doing this? And, what is he learning from the data? Overseeing one billion square feet of LEED registrations by large companies, Marc Heisterkamp is the Director of Strategic Accounts for the commercial real estate and financial services sectors at the U.S. Green Building Council. What are these LEED registrations telling us? Rental apartments have been the best performing real estate investment class and the lone bright spot in the U.S. housing market. The sector has experienced the broadest recovery across markets with occupancy rising steadily over the past two years on strong tenant demand and limited new construction. As a result, concessions have dwindled and rents are rising. Naturally, the sector’s strength has attracted investors to apartments and easier access to debt combined with historically low interest rates has pushed cap rates down considerably. What factors are driving rental demand? How much further can rents rise? How quickly will construction respond? Will investors continue to flock to the sector? On March 20, two apartment market researchers will offer their perspectives on trends to date and the outlook for the strongest housing segment. Registration is free for members of the NABE Real Estate/Construction Roundtable and KnowledgeLINK members, $15 for NABE members, and $60 for others. With the release of January 2011 data, the Producer Price Index (PPI) of the Bureau of Labor Statistics (BLS) introduced an Experimental Aggregation system. This Experimental Aggregation system takes advantage of PPI’s expansion of coverage over the last twenty years to include portions of the services and construction sectors by combining prices indexes for those sectors with the currently highlighted goods sector indexes. This new system is a model that greatly expands PPI coverage of the United States economy beyond that of the current Stage of Processing System. This seminar will present the new PPI experimental aggregation system and compare and contrast indexes from the new system to already existing measures of inflation. Jonathan Weinhagen is an economist in the Section of Index Methods at the Producer Price Index. His work includes developing new inflation measures for the PPI and examining inflation transmission from earlier stage commodities to consumer goods. Jonathan has a PhD in economics from George Mason University. Registration is free for members of the RE/CRT and KnowledgeLINK members, $15 for NABE members, and $60 for others. The podcast of this event is now available. Click here to download. What is the outlook for housing prices? There is talk of shadow inventory depressing prices (banks sitting on inventory and homeowners stuck in place by current low prices). At one point this year, Sacramento had an actual inventory of 3-4 months in listings, but experts suspected that with the shadow inventory, it was actually 16 months. Panelists may also speak about apartment ownership demand or how demand for rentals may be depressing home prices. Longer-term, some experts predict a boomer led selling trend that will depress prices, since replacement buyers (including many minorities) do not have adequate resources and credit may remain tight for years. How will the preference for people to age in place affect prices? Registration is free for members of the RE/C Roundtable, $15 for NABE members, and $60 for others. Celia Chen is a senior director of the Moody's Analytics research staff, specializing in housing economics. Celia manages the Moody's Analytics regional house price forecast models, develops proprietary housing market indicators, and writes extensively about housing issues. Based in the West Chester PA office, Dr. Chen also edits Précis State and has participated in numerous consulting projects, including econometric modeling of regional house price forecasts, consumer lending, and mortgage lending. Celia speaks regularly at Moody's client conferences and has provided economic commentary on Wall Street Radio, Bloomberg and CNBC. Celia completed her Ph.D. at the University of Pennsylvania, with a concentration in econometrics and international finance. She holds a bachelor's degree in economics from Barnard College. John Burns and his team of consultants and analysts primarily do two things: 1. Subscription Research: They help executives stay several steps ahead of the competition by knowing what is going on in the market, and what is likely to happen next, and 2. Customized Consulting: They help executives make informed strategic decisions on major acquisitions, community design, and strategy. Many of the most respected companies in the housing and investment industries have John and his team on retainer and hire them for personalized consulting studies. John has degrees from Stanford and UCLA. He started his career as a CPA and, for the last 22 years, has been consulting with executives on all kinds of strategic real estate decisions. More than 28,000 industry executives read his free e-mail newsletters, more than 2,000 executives participate in his monthly industry surveys, and he is regularly featured in the media, including CNBC, Business Week, and The Wall Street Journal. Panelists will offer views on the outlook for the refinance market for 2011. Registration is free for RE/CRT and KnowledgeLINK members, $15 for NABE members, and $60 for others. Click here to purchase the podcast. Following 10 years of exceptional growth, house prices nationally peaked in mid-2006 and have since fallen by 20%. Prices declined in most states, but the hardest hit have been the so-called SAND states of Arizona, California, Florida, and Nevada, with statewide peak-to-trough declines at excess of 40%. Even then, Federal government initiatives such as Congress’ Homebuyer Tax Credit, the Treasury’s HAMP program and the Fed’s low interest rates and purchase of $1.25 Trillion of Residential MBS have likely mitigated the depth of the price adjustment. This cascade of programs, however, makes it particularly challenging to interpret market indicators like foreclosure rates, sales rates, vacancy rates and especially price indices. On September 30 two top housing market analysts will provide their interpretation of market conditions and the prospects for improvement in the critically important states of California and Florida. The economic recovery is underway with three consecutive quarters of positive GDP growth and the labor market appears to have turned a corner with monthly gains every month this year. 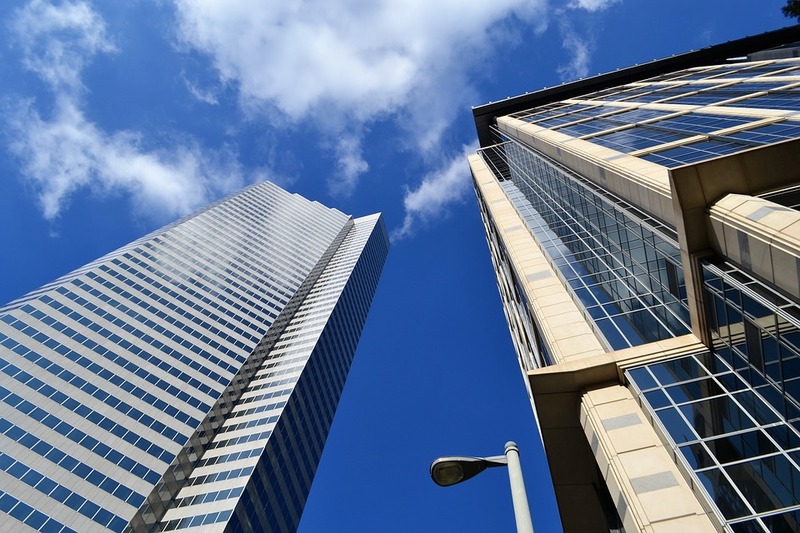 However, commercial real estate fundamentals typically lag the economic recovery and headwinds remain from the credit markets, although diminished, and from shadow space that has yet to hit the market. Given these mixed signals, where are commercial real estate fundamentals today and what is the outlook for recovery? Are the challenges facing this sector more financing or demand related? Has the willingness of lenders to extend and restructure loans helped to stabilize the sector or simply pushed the refinancing problem into the future? Will demand patterns change coming out this recession? Will the lending environment constrain new development? Or will obsolescence drive construction ahead of expectations? How do these supply and demand conditions differ across regions? What is the outlook for and potential impact of federal, state, and local policy changes, including the carried interest tax increase? Click here to dowload the podcast. Bob Bach, as Senior Vice President and Chief Economist, Bob Bach prepares Grubb & Ellis’ national market publications covering the office, industrial, retail and investment markets. Bob oversees the preparation of approximately 90 Metro Trends reports covering quarterly market conditions in metropolitan office and industrial markets across the U.S. He works with research managers in the local offices of Grubb & Ellis to ensure their data are accurate. Additionally, Bob works with Grubb & Ellis clients as needed to complete specialized consulting assignments. He is a frequent speaker at national professional conferences. Bob has 30 years of professional experience in real estate market research, consulting and city planning. He has prepared or overseen the preparation of market feasibility studies for proposed development projects, ranging in scope from a 16,000 square-foot retail center to an 800-acre mixed use development. Patrick Newport, is the Director of Long-Term Forecasting for IHS Global Insight's Macroeconomic Service. Mr. Newport is also responsible for IHS Global Insight's U.S. investment and housing forecasts. Prior to joining IHS Global Insight (then called DRI) in 1998, Newport was a senior economist for the Office of the Forecast Council of Washington State, and an economist with the Washington State Department of Revenue. He has a PhD in economics from Harvard University and a MA and BA in economics from Louisiana State University. "Homeowner Helper or HAMPer: An Assessment of Government Loss Mitigation Programs"
Many new federal government programs have been created over the past two years to minimize the number of home foreclosures resulting from sharply falling house prices and deteriorating economic conditions at a time of high levels of borrower housing leverage nationwide. That programs are constantly changing reflects the government’s struggle to find a design that achieves its objectives while prudently balancing expenditures, political fallout and moral hazard. offer informed conjectures about future effectiveness and possible further program changes. This teleconference is available for purchase as a podcast by NABE members. Later, it will be available for free download by NABE members. Construction spending topped $900 billion in 2009. Investment in residential, private nonresidential, and public structures are important components of GDP. Learn (more) about how these data are put together, what to watch out for in using them, and what changes are in store. Presenters: Michael Davis, Census Bureau Construction Statistics Division; Jeffrey Crawford, section chief for private fixed investment at the Bureau of Economic Analysis; Ken Simonson, chief economist for the Associated General Contractors of America. Registration is free for RE/CRT members, $15 for NABE members, and $60 for others. To purchase this podcast, contact the NABE office at (202) 463-6223. "Getting Past the Noise: Housing Fundamentals in 2010"
Monthly housing indicators are up one month and down the next; often that signals a cyclical turning point. But with market conditions so extreme compared to historical experience, many of these indicators contain a lot more noise than information. By some measures house prices have been rising since the summer; then why aren’t more people buying homes and originators willing to accept more credit risk? HAMP has gotten off to a slow start, clogging foreclosure pipelines; what ultimate resolution is likely for the current and growing delinquent pool of borrowers? Housing starts are picking up, as are foreclosure sales; what’s the current demand/supply balance for owner-occupied homes? The extent of housing problems and readiness for recovery varies by region; which areas will be leaders and which laggards in the coming months? This teleconference is available for purchase as a downloadable podcast. After 30 days, it will become a free download for NABE members only. How Big, How Bad, How Soon?" The valuation declines that have laid waste to the housing market have also impacted commercial real estate with values reported to NCREIF down 25% from the peak through 2Q 2009. As with the housing market, there is weakness in demand for commercial space bringing occupancy down across property types to lows not seen since early in the decade. Although supply is less of an issue this time, the concentration of construction activity in a few markets will add to the overhang of space created by the recession. Property owners that need to roll-over their balloon debt are faced with the loss of securitization financing and tightened standards among the commercial banks that have been their stalwart investors. Is this slow-motion train wreck large enough to warrant a TALF II financing program or generate the second-leg down in a W-shaped recession?